I've been playing around with a new-to-me program called SudoKai. It's not exactly ready for prime time yet (among other things, no import/export function, no printing function, and the only format it saves to is its own proprietary format). Still, it has an interesting puzzle generator (still very much under development) and multi-grid layout builder, so I thought I'd give it a try. 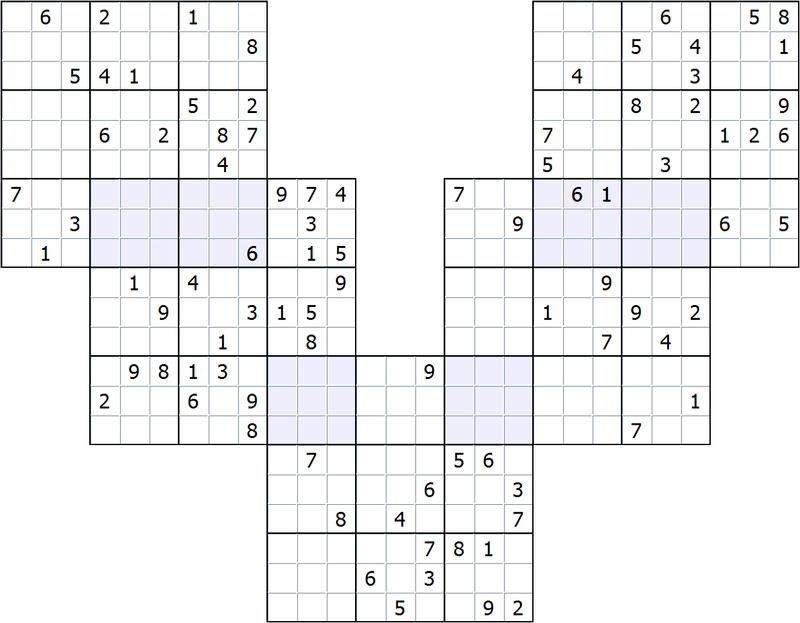 I generated this Wing-5 puzzle today and thought I'd let y'all take a crack at it. SudokuSolver rates it at 0.85, so it should be pretty gentle.